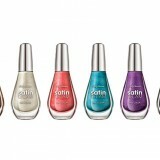 For over 50 years, Sally Hansen has led the way in nail treatment and colour. Today, the brand’s continuous innovation, fashion-driven style and high quality salon-inspired services have made it the number one nail expert in the United States. 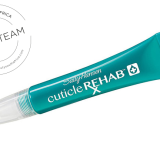 By leveraging groundbreaking formulas and finishes, state-of-the-art ingredients and forward-thinking packaging and applicators, the brand prides itself on being first to market in nail innovation. 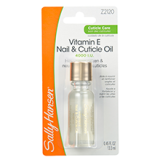 An intensely moisturizing Vitamin E oil that softens cuticles and cares for dry, brittle nails. Natural Essential Oil Complex with Vitamin E, Wheat Germ, Apricot Kernel, Aloe & Panthenol moisturizes & conditions cuticles while increasing nail flexibility. Salon tested. Dermatologist tested. Price: R79.95 Availability: Selected retailers or pharmacies. 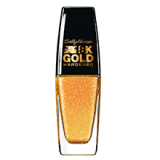 Gold-infused strengthener treats & beautifies nails in 1 step. 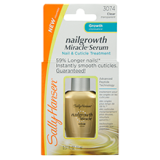 Instantly hardens & fortifies nails to prevent breaking, chipping and splitting. Gold shield forms a protective barrier to lock in moisture, nails grow longer & stronger. Price: R99.95 Availability: Selected retailers and pharmacies.